» Will DMARC Affect Your Email Deliverability? Changes at Gmail, Yahoo and others may impact your email deliverability – are you prepared for DMARC? In an effort to reduce spam and spoofing, email providers are moving to a policy that will reject mail sent from outside of their respective servers. This means that if you use a ‘from’ email address from one of these providers, your email will be rejected if not sent from the actual provider. While this will help to reduce spoofing and phishing via email, it may also impact your legitimate marketing efforts. We want to help you understand how you can be best prepared for these upcoming industry changes. Q: What does DMARC stand for? Q: Which email providers are embracing DMARC policies? A: Yahoo, AOL, Google, and Microsoft are among the email providers who will use these policies. This means that any email that ends in @yahoo, @aol, @gmail, @outlook, @hotmail, @msn, or @live will no longer be delivered if it is being used in the ‘From’ address unless you are sending from that provider. ie: use gmail to send, use a from gmail address is OK, use another service like an autoresponder and use a gmail address in the “from field” and your email will NOT be delivered. Q: Is this a wide spread problem? A: This is across the industry. If you do your email marketing with any email marketing provider and send your emails from one of the impacted domains, your email will not be delivered. Q: Do all email service providers support DMARC? A: Not exactly. 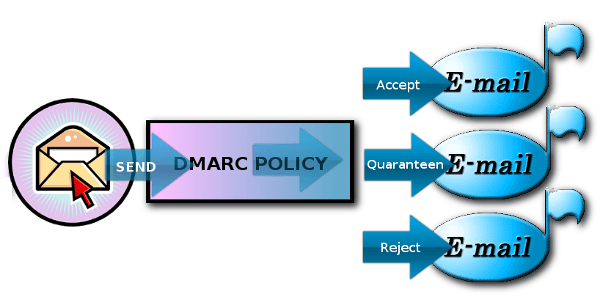 In order to fully support DMARC on your domain, the ESP must also set a custom Return-Path address domain. The Return-Path is what ESPs uses to collect bounces, which is different from the from address. According to the DMARC spec, the Return-Path domain must be at the same top level domain as the from address. A: We advise any small business owner to have a private domain email (ie: myname@mycompany.com, info@mycompany.com, etc.) If you have a website, you may have access to a private domain through your hosting package. If you aren’t sure, please call your website host and ask for help getting a branded domain email. We can solve this problem for $10 per year. See how YOU can still get a domain for $9.99!